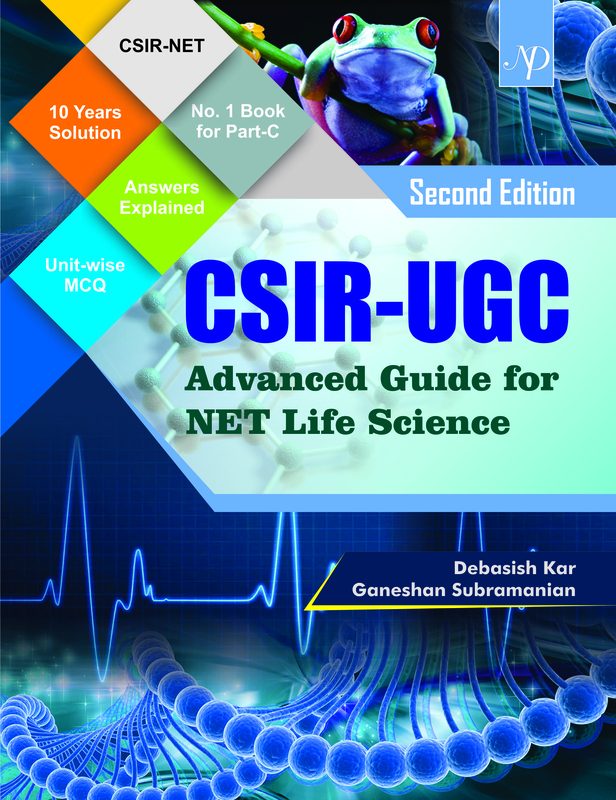 CSIR-UGC Advanced Guide for NET Life Science is published by New Delhi Publishers and authored by Debasish Kar and Ganesh Subramanian. The entire book is categorized into individual module according to the CSIR-UGC NET Life Science syllabus. The book contains numerous conceptual questions from each section. The questions are screened and framed in the best possible way considering the difficulty level of CSIR-NET Exam. This book comprises of sample questions and solved papers of last 10 years for the students. This book is essential for candidates applying for CSIR-UGC-NET exams. This book follows the latest pattern of CSIR. Maximum effort is given to bring an idea how to tackle experiment based questions. It is written with updated CSIR-UGC NET Syallabus.